"Never eat a food with its own mascot." Whomever said this first was brilliant, but was not trying to reason with youngsters eying carefully positioned, sugary offerings in the cereal aisle. 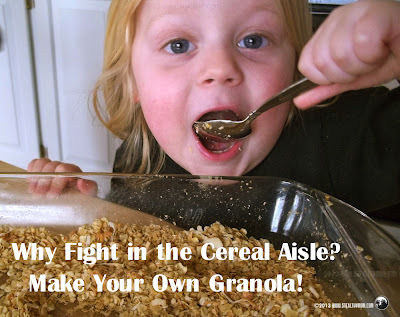 Since our boys love both oatmeal and baking, we have not had that fight yet. 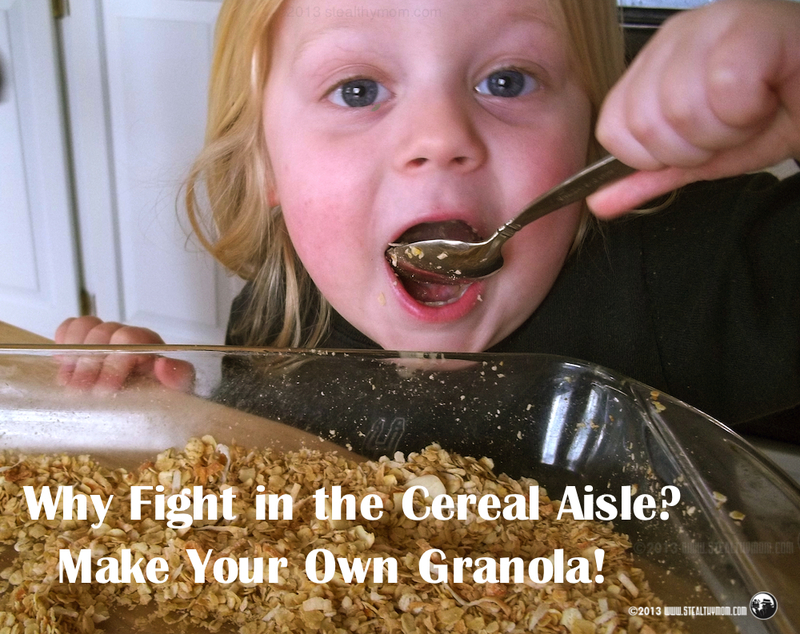 We can make a delicious, sweet and crunchy cereal with ingredients we keep on hand. Mix all of the ingredients except the oil together in a pyrex baking dish. Add the olive oil and mix well. Bake the granola for about half an hour, stirring well after 20 minutes. Allow to cool before serving.